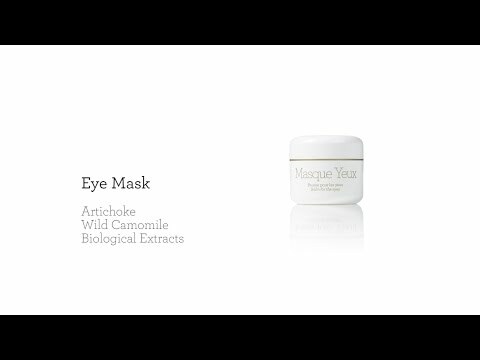 Improves lymphatic drainage and micro-circulation which contribute to reduce swelling and dark circles around the eyes. Extracts of artichoke and wild chamomile. Allow lymphatic drainage, which is essential to reduce puffiness and swelling around the eyes. Puffiness or dark circles around eyes. Eye Mask reduces dark circles and puffiness. It enhances lymphatic drainage, which is essential to reduce swelling of the eye area. It is also soothing and nutritive. Please note that Eye Mask will not diminish dark shadows that are of genetic causes. First thing in the morning apply a moderate layer to the eye area. Leave for 5 minutes and remove with wet cotton pads. Please note that a tingling sensation is absolutely normal. Follow with your usual daily routine. 3 out of 3 (100.00%) reviewers recommend Eye Mask to their friends. The skin around my eyes looks brighter and more even. Too expensive for my liking but still a worthwhile investment. I love this eye mask! Gernetic's Eye Mask is so easy and quick to use and after just a few weeks the puffiness around my eyes was gone! I'm a shift worker and my eyes suffer the tiredness! Those dark circles are fading and the puffiness has gone. [post_content] => Improves lymphatic drainage and micro-circulation which contribute to reduce swelling and dark circles around the eyes.